register for online courses today! Posting long status updates that get a lot of likes-loves-anger-blah, shares, and comments? That hot topic status update or clever comment could have been a blog post! This extensive course in everything blog introduces readers to different blogging styles, various blogging platforms, and tips for deciding what and when to write to fit your blogging goals. Features blogs by Luvvie Ajayi (Awesomely Luvvie), Damon Young and Panama Jackson (Very Smart Brothas), Nikki Walton (CurlyNikki), and more! Use the modality comparison chart to explore course delivery options and choose the perfect class type for your needs! Full descriptions of modality features can be found in the 2018-2019 Course Catalog. KTLA Creative Writing Society classes are designed exclusively for and by Black women and women of color writers. Please respect the creation and curation of this space in accordance to our mission to showcase, support, and develop Black women and women of color writers. 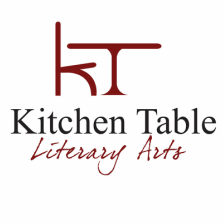 ​Kitchen Table Literary Arts does not and will never share or sell your personal information to any third-party entities. I have taken college-level creative writing courses before. I have a degree in creative writing or a writing-related program. I have never taken a creative-writing course before. I am a traditionally published writer. I am a self-published writer. I am both a traditionally and self-published writer. My work has never been published. Tuition is due at time of registration to secure your course enrollment. Registrations received without payment will not be processed, and refunds (less a $25 administrative fee) are granted only if received in writing before or within the first week of the course. Please note that self-paced classes are not eligible for refunds. Use the drop-down menu to choose course modality that best fits your needs!